Download Hour1 Download Hour2 This is the most intense look we've taken at the Bilderberg group since episode 528. In the 5 years since that show was produced, Bilderberg has been much more under the media spotlight. We begin with Charlie Skelton comparing the experience of reporting on the G7 with reporting on the Bilderberg. Next we hear a 2007 summary of the Bilderberg group by Daniel Estulin and some concluding thoughts by Tony Gosling. Charlie Skelton begins the show by comparing media presence at the G7 and at the Bilderberg, 2015. He describes a huge media extravaganza and free drinks at the former, state sponsored harassment and military security at the latter. His interviewer, Tony Gosling - also a Bilderberg researcher, is in broad agreement about the purposes of Bilderberg, the main one being to drive a wedge between Russia and the NATO countries. Tony Gosling notes that all NATO Secretaries general since at least 1971 have attended Bilderberg before being appointed, so we consider each of the NATO secretaries general, once of whom resigned after a multi million bribery case was exposed, another of whom consulted on a daily basis with Willem Matser (some of whose story we heard in episode 694). 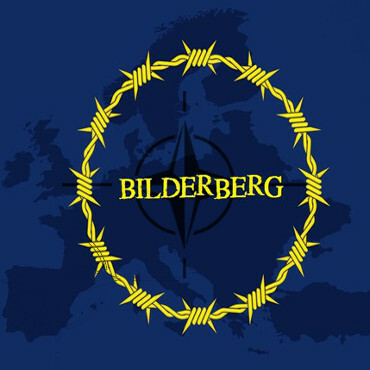 For a detailed overview of how Bilderberg meetings are conducted, we hear a 2007 interview of Daniel Estulin by Bonny Faulkner. He underlines that it is not one overarching conspiracy, but a bunch of people behaving in their narrow self interest. He seems curiously loathe to call it a "conspiracy" - in contrast to our other speakers, who note how many of the Bilderbergers either have resigned in disgraced at least once in their careers or else actually have criminal records of one kind or another. We conclude with a short recording from Turkish TV, in which Tony Gosling mentions a number of topics, from the special legal status of the City of London, the Bilderberg, the Freemasons, and the fact that ISIS was created by foreign intelligence services. This page was last modified on 19 September 2015, at 11:47.